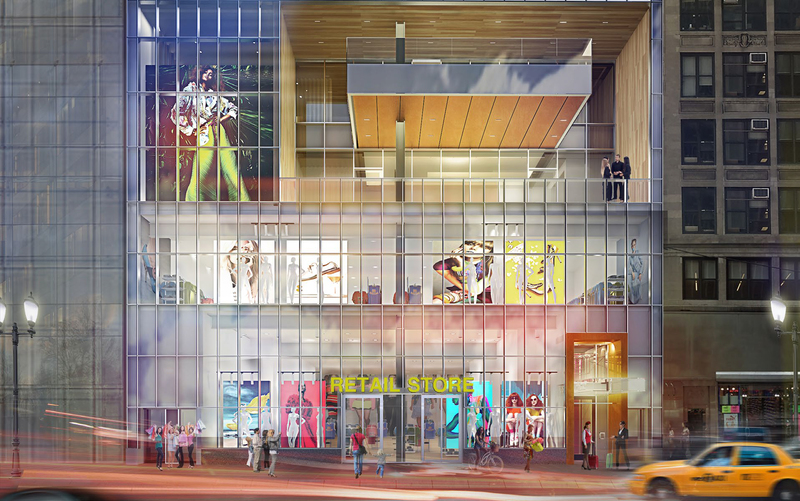 The Chetrit Group’s most recent mixed-use retail development continues to take shape on West 34th Street, between 7th and 8th Avenues, and today new renderings are out for the site. 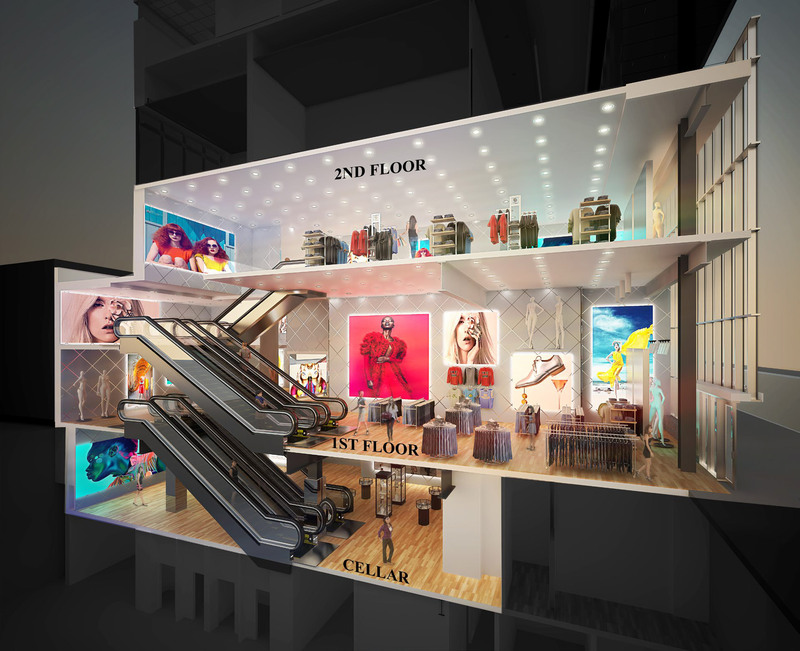 The project includes a 33-story hotel tower with retail and office components occupying the cellar, first, and second floors. As previously revealed by YIMBY in April 2016, the new building will encompass 155,594 square feet. Commercial area will account for 122,426 square feet. Floors three through 30 are expected to house all hospitality components. The hotel’s lowest five floors will feature a fitness center, a library, an outdoor pool, a terrace, meeting rooms, storage rooms, administrative offices, and a restaurant. Guest rooms will total an estimated 247 keys beginning on the ninth floor. Stonehill & Taylor Architects are responsible for building design. 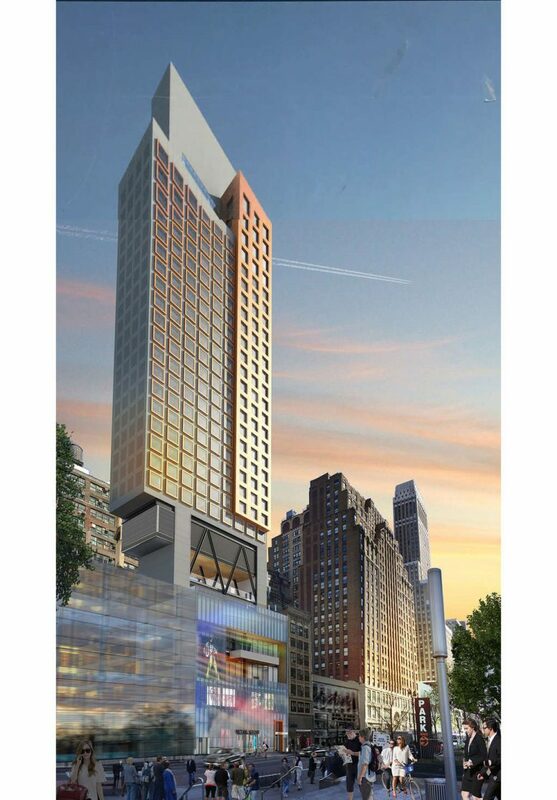 2 Comments on "Renderings Revealed for 300-Key Hotel and Retail Complex at 255 West 34th Street, Midtown"
What this story doesn’t mention but should is that the Chetrit Group is one of the worst developers in the city. They destroyed the Chelsea Hotel, left to rot St. Clare’s Hospital in Hell’s Kitchen, and most recently are reported to have had a hand in a possible fire at a warehouse in Red Hook. Development by decay, neglect, or arson is not what this city needs.